“Jewelry takes people’s minds off your wrinkles.” – Sonja Henie. 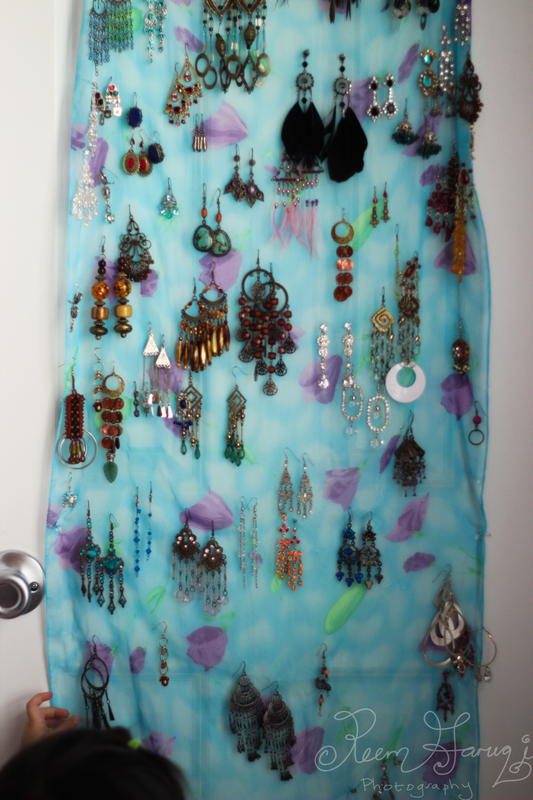 In college, I stumbled upon a friend’s earring collection that she had artistically hung up on her wall via a scarf. I loved the idea so did the same in my dorm room. Needless to say, this scarf of earrings went where I went. So when I married and moved into my town home, the earrings did too. When Z came into the picture, I had to knot the bottom of my earring wall as she would reach up and grab the goodies she could get. 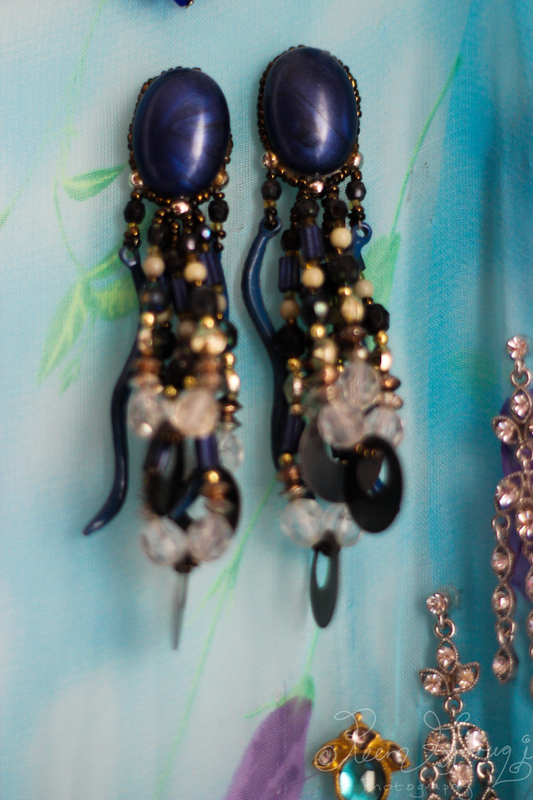 Can you tell I like dangling earrings? Guess my favorite pair! 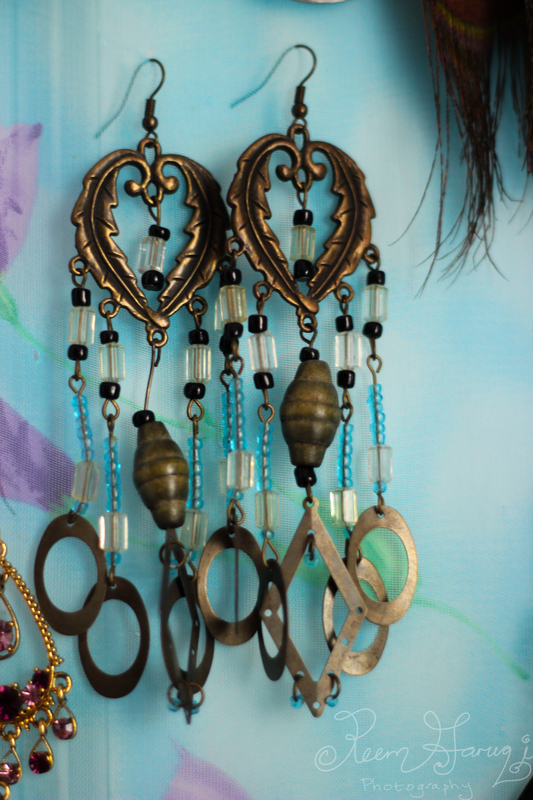 These were earrings purchased in Kalaam, Pakistan. They are super light; love this pair. Now a days, Kalaam isn’t so safe anymore sadly so I’m lucky to have gone when I went and to have purchased these then. Time to end the photoshoot as curious fingers are lingering! And the winner to my favorite earrings is above. 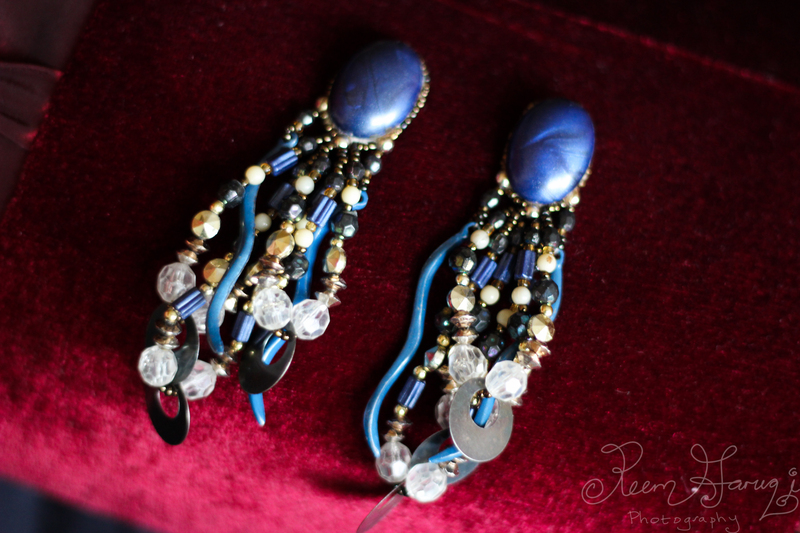 I love this pair; they actually belong to my mother. Not sure where she bought them from but they are ear candy. A funny story is that she was going out somewhere long ago and before she left, she tied my hair as I was a little girl then. At the event she went to, someone pointed out that she had also a girl’s hair rubberband dangling on one of her earrings (mine!). Such is the life of parenting. I would love to get into decor ideas on my blog – a great blog for decor is A Beautiful Mess. I’ve been reading it and enjoying it. A fun way to put up jewelry is in one of their posts here. More later!